American Airlines is closely "studying" online retailer Amazon's plans to open a second headquarters steps away from its hub at Ronald ReaganWashington National airport, where it is already planning to add seats at the slot-controlled facility. "We absolutely plan to upgauge at DCA," the Fort Worth, Texas-based carrier's vice-president of network Vasu Raja tells FlightGlobal, echoing previous executive comments at the ACI North America International Aviation Issues seminar in Washington DC today. American is "studying" Seattle-based Amazon's decision toestablish a new second headquarters in the Crystal City neighbourhood of Arlington, Virginia, adjacent to National airport, he says, adding that they are looking at how it will impact growth plans "very closely". The retailer announced plans for the second headquarters with 25,000 white-collar employees in November, following a closely-watched national campaign for the investment. Another 25,000-employee second headquarters is planned in the Long Island City neighbourhood of New York, and a 5,000-employee operations centre in Nashville. Extensive air service links, both domestic and international, were among the key criteria for Amazon in selecting the locations. The Arlington location is served by three airports: Baltimore/Washington International, Washington Dulles International, and Washington National. United Airlines operates a hub at Dulles, and has its own plans to grow at Washington DC region's main international gateway. American has significant opportunity to upgauge flights, or shift them to larger aircraft, at Washington National. Nearly 30% of its flights at the airport are operated by its smallest regional aircraft, 50-seat Bombardier CRJ200s and Embraer ERJ-145s, that can be replaced with 70- or 76-seat regional models, or even mainline aircraft if demand warrants. By comparison, less than 3% of the carrier's flights at the airport are operated on its largest narrowbody aircraft, the Airbus A321 with up to 187 seats and the Boeing 757-200 with up to 188 seats, the data shows. American will move its regional operations at National, currently served by buses from the unpopular gate 35X, into a new 14-gate concourse designed for 76-seat regional jets in 2021. The concourse is part of airport operator the Metropolitan Washington Airports Authority's (MWAA) USD 1 billion Project Journey works. "A critical enabler [to American's growth] is the build out of the regional pier and moving everything behind security," says Raja. In addition to the new concourse, the project will combine the concourses in terminal B/C inside one secure area and enabling easier passenger connections. As an additional incentive for Amazon, local officials committed tobuilding a new pedestrian bridge between Crystal City and the airport, something that will literally put flights within steps of the company's new headquarters. How and where American will upgauge from Washington Nationaldepends on a variety of considerations, says Raja. Among these are where corporate customers, including Amazon, want to fly. The airline's sales team is already in discussions with Amazon over its air service needs in Washington, he says, adding that talks are still in "early innings". However, initial expectations would suggest demand for service to Seattle, as well as the retailer's two new major offices in Nashville and New York. American cannot add flights to Seattle due to the 2,012km (1,250 mile) perimeter at the airport. While it holds six exemptions, five are market-specific for service to Las Vegas, Los Angeles and Phoenix, and it uses the sixth for a second flight to its Los Angeles hub. Alaska Airlines holds two slot exemptions for service to Seattle fromWashington National. Alaska, Delta Air Lines and United serve Seattle from Washington Dulles; and Alaska, Southwest Airlinesand Spirit Airlines serve the city from Baltimore/Washington, schedules show. American flies to both Nashville and New York LaGuardia from National but has room to add seats. The carrier operated nearly half of Nashville flights with 50-seat jets, and just about all of itsLaGuardia flights with 76-seat models, schedules show. Southwest also flies between National and Nashville, and Deltabetween National and LaGuardia. 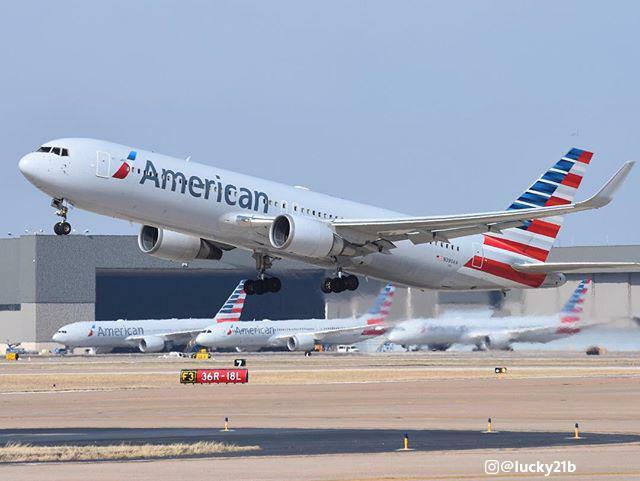 American plans to increase capacity at or below US gross domestic product growth in 2019, a number that is forecast to be 2.5% or lower, airline executives have said.